This post is part of an ongoing series examining Marcion of Sinope and his influence of the formation of the New Testament canon. We now turn to the third perspective on Marcion’s relationship with the notion of a specifically Christian canon, namely that while Marcion likely refined the idea and parameters of canon, he was basically following the example of previous collections of Christian writings. This I term the “Canon Refinement School” of thought. As this position best fits the evidence from textual criticism (as I argued for in last week’s post), this school of thought has become increasingly popular in recent decades. In Marcion and His Influence E.C. Blackman argued that while Marcion was the first person to create a closed Christian canon, in Metzger’s terms an “authoritative list” of writings, he rejected the notion that Marcion created the idea of a canonical collection. 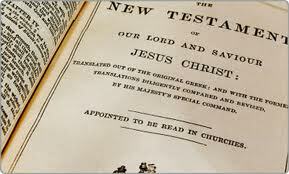 Concerning Jewish scriptures, Blackman wrote that Marcion’s criticism of those writings stemmed from his conviction that the Gospel of Christ was utterly new in nature. 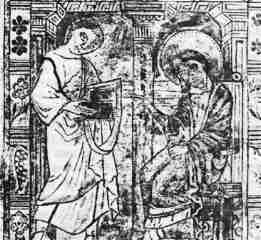 Ultimately however, it was Marcion’s rejection of all four gospels as sources of scriptural authority that got him into trouble with the proto-orthodox. While he agreed with John Knox’s assessment of Marcion’s impact on the speed of the formal canonization process and the “Gospel and Apostle” model, Blackman argued that overall Knox’s argument was “quite exaggerated.” Franz Stuhlhofer also argued that many of Marcion’s ideas long thought to be distinctive, such as the formation of the canon, had little real influence on the church. In Early Christian Doctrines, J.N.D. Kelly argued that the essential contours of the Christian canon were in place before Marcion arrived on the scene, making his contribution to the overall shape of the specifically Christian canon minimal at most. While Kelly understood Marcion to have created the first specifically Christian closed canon and ultimately to have sped up the formal canonization process throughout the Great Church, he understood the impetus for a specifically Christian set of scriptures to have come from Church’s own convictions and practices, not as a response to Marcion’s canon. From the perspectives of textual criticism and these scholars, Marcion remains best understood as refining the idea of a Christian scriptural canon rather than creating the notion. E.C. Blackman. Marcion and His Influence. S.P.C.K. : London, 1948. 23-6. Ibid., 113. Ibid., 35-6. Ibid., 38-40. Cited in Noble, Paul R. Book Review. The Spirit and the Letter: Studies in the Biblical Canon. Journal of Theological Studies. Vol. 49. April 1998. Oxford University Press: Oxford, 1998. 163. J.N.D. Kelly. Early Christian Doctrines, Fifth Edition. Continuum: London, 2009. 57-8. Ibid., 58.